Recruiting and retaining special education teachers is one of the biggest challenges faced by Arizona’s school districts. Some are forced to contract with national companies to provide support, and others opt for “the best they can find,” which is often a novice teacher. Our Solution: TRP Education Services is led by Arizona educators who are experts on local policy and implementation. All members of the leadership team at TRP Education Services hold teaching certificates in special education and have taught in Arizona classrooms. Their experience includes self-contained functional skills, emotional disabilities, Autism, resource, inclusion, and co-teaching. Arizona’s schools are facing a teacher retention crisis. According to current estimates, there are more than 400 mid year teaching vacancies in Maricopa County alone. In special education classrooms, the problem is amplified. General education teacher training and follow up on accommodations and differentiation. Strategy and coaching to ensure each student is being served in LRE with appropriate support. Compliance experience and coordination with the Arizona Department of Education for file maintenance. Caseload management, including coordination of records, initial placement, and exiting from special education. Co-teaching and inclusion implementation for students that are best served in a general education classroom. Most clients partner with TRP Education Services for both Case Coordination and Direct Services; however, they can also be executed separately. TRP Education Services provides high level oversight and implementation that is affordable for any campus. 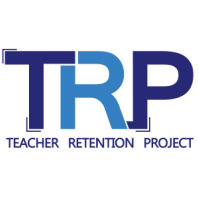 TRP is an Arizona solution for special education services, with a passionate leadership team that is committed to supporting local schools and their students with best practices and high quality implementation.